I am still in shock after watching the historic collaboration between Mayday and Beyond on youtube. Wong Ka Keung (黃家強) was the guest star for the eighth and final concert of the Nowhere Hong Kong Tour 2013! Mayday and Beyond sharing the stage! 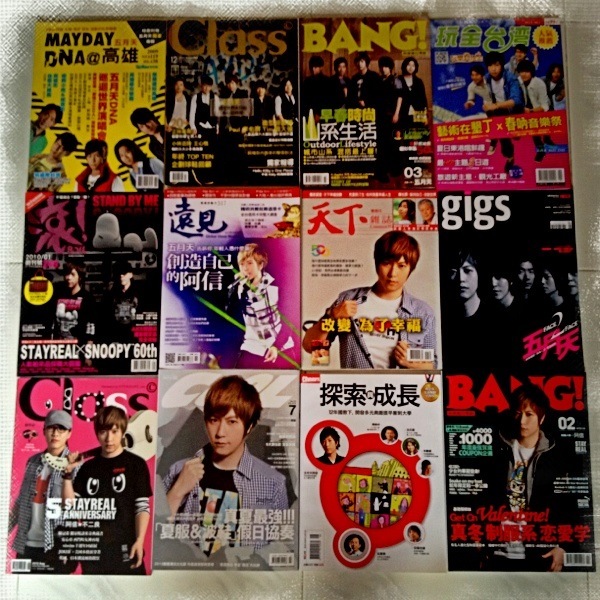 It is truly amazing to listen to Ashin and Ka Keung sing “海阔天空”. The fans who witnessed the live performance are so blessed! 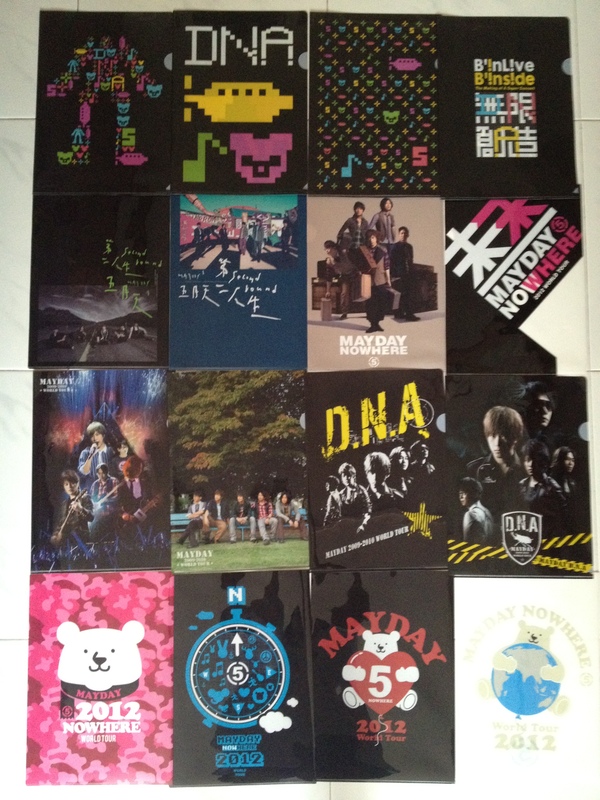 Two incredible rock bands in Asia: Beyond and Mayday. 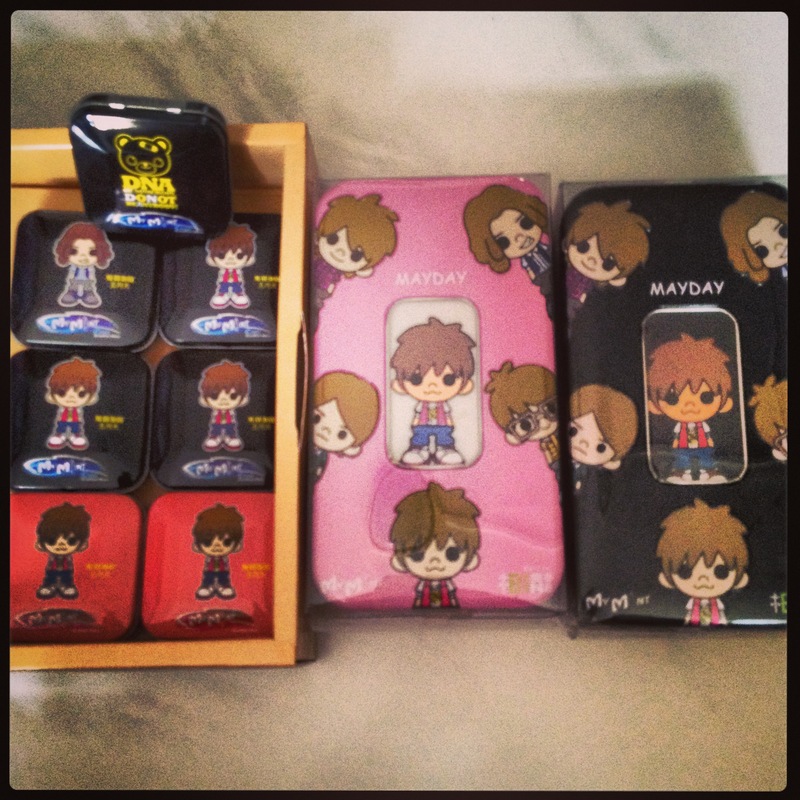 I believe that the members of Mayday listened to Beyond when they were growing up. Ashin looked nervous on stage and appeared to lip-sync in the phenomonal presence of Ka Keung. Even Monster said that he was moved to tears during the performance. The tribute to Ka Kui’s 20th death anniversary is so touching. Beyond is a legendary rock band in the late eighties to nineties. They heralded the era of rock music in East Asia. 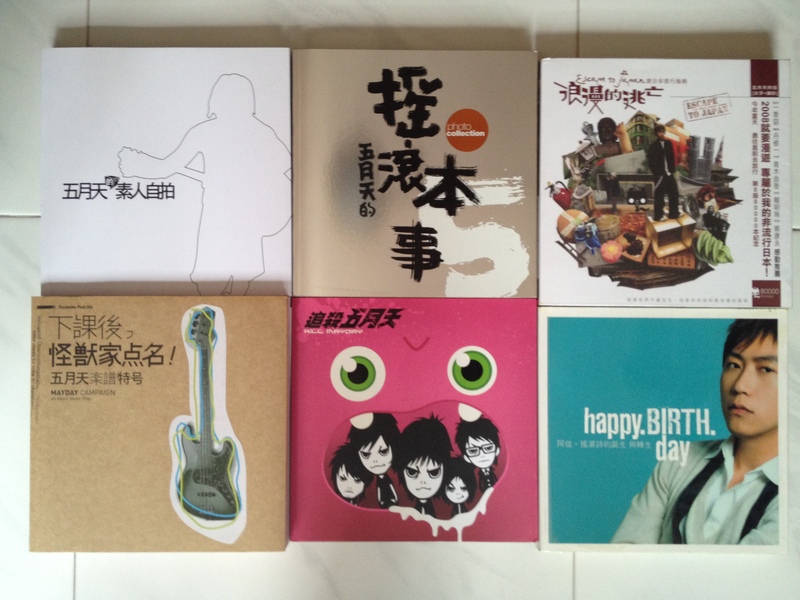 Beyond and their inspiring rock music paves the way for other emerging Chinese rock bands. I am sure Mayday felt extremely honored to be able to share the stage with their idol. As a Mayday fan, I feel honored too! I have a sudden urge to run out and buy all of Beyond music albums and listen to them over the weekend. Thanks Beyond and Mayday – for making this cold world a more bearable place with your wonderful music! So… Happy Mayday! Somehow I am very excited this May! 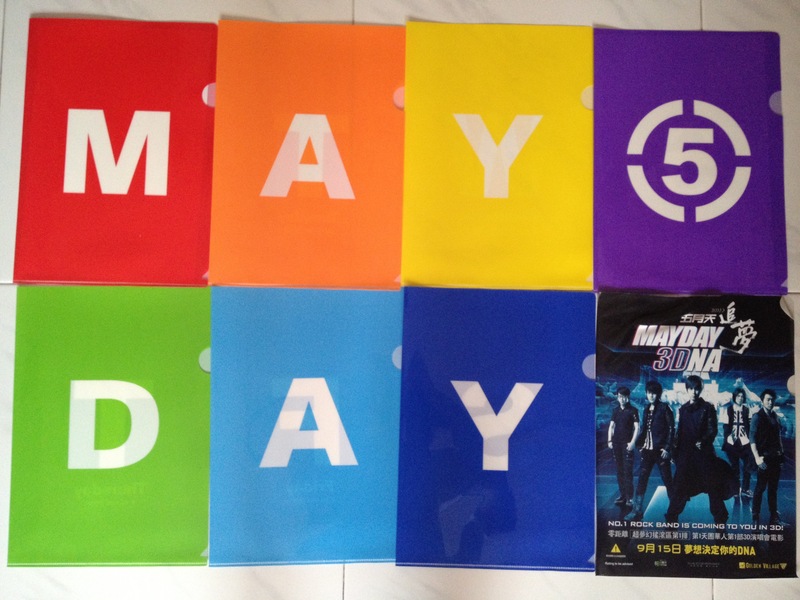 It marks the start of a Mayday-fied month! 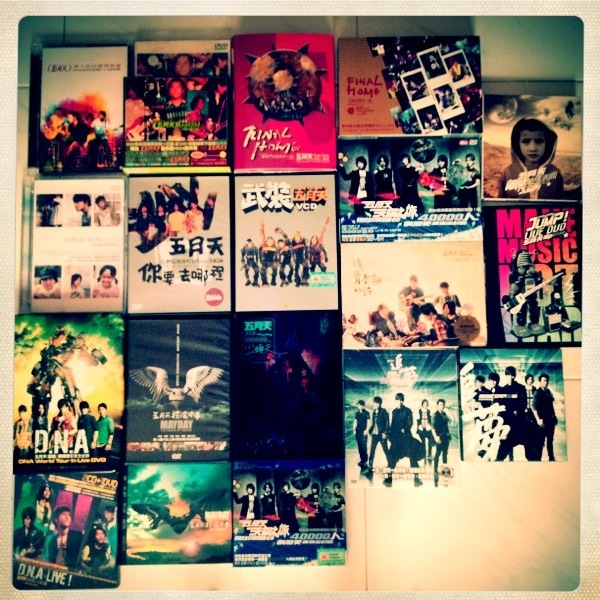 I should be watching 3 Mayday concerts in the next 2 months! And of course, first of May is my beloved sister’s birthday. 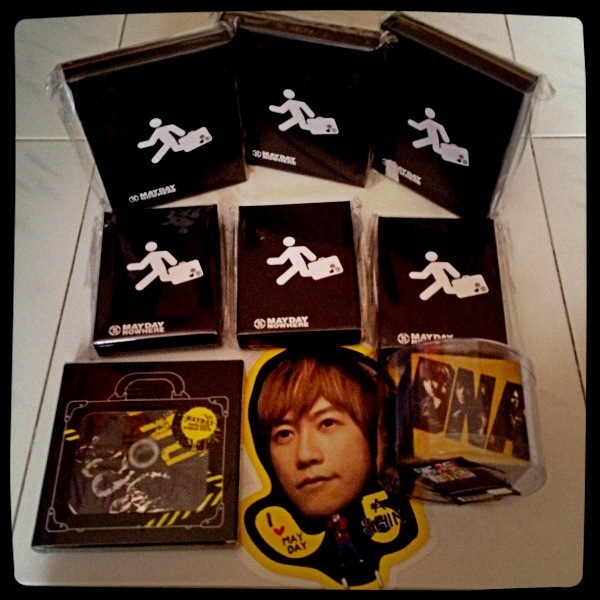 My initial plan of starting this blog is to post analysis of Mayday songs. However, it is really exhausting to analyze the lyrics, edit the analysis, re-edit the analysis and finally post them. 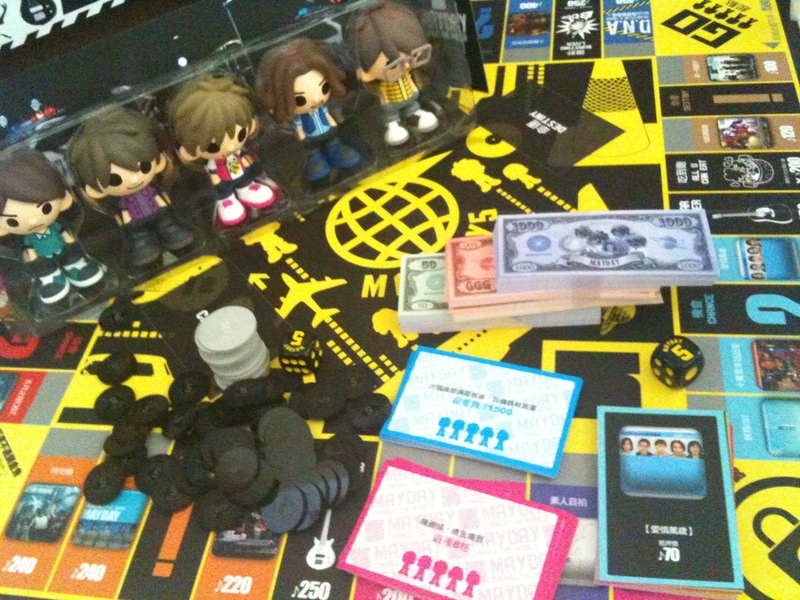 For instance, I spent many days (close to a week) to write the analysis for 仓颉. Perhaps I am a perfectionist as I keep editing the articles. Maybe I will be more disciplined and start posting more often. 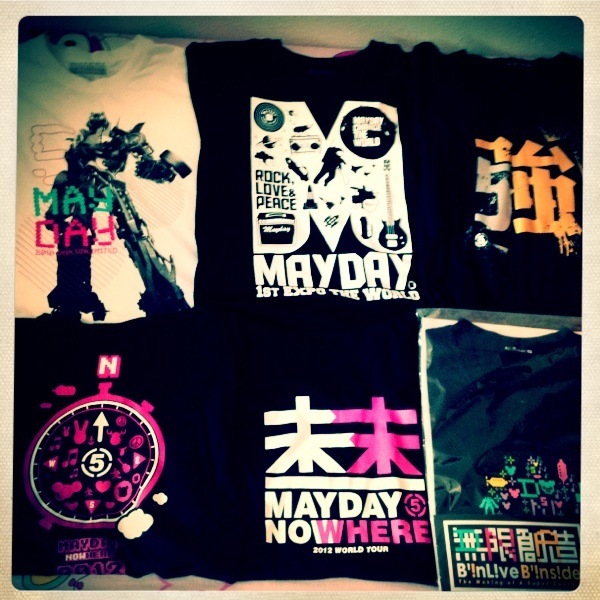 Meanwhile, today is such a lackdaiscal ‘Mayday’, so let me be self-indulgent and showcase my Mayday collection! Thirsty? Refresh yourself with Mayday’s ‘Holy Water’! Well, there are still many strange items and of course the formidable ‘Stay Real’ collection which I shall not go into. 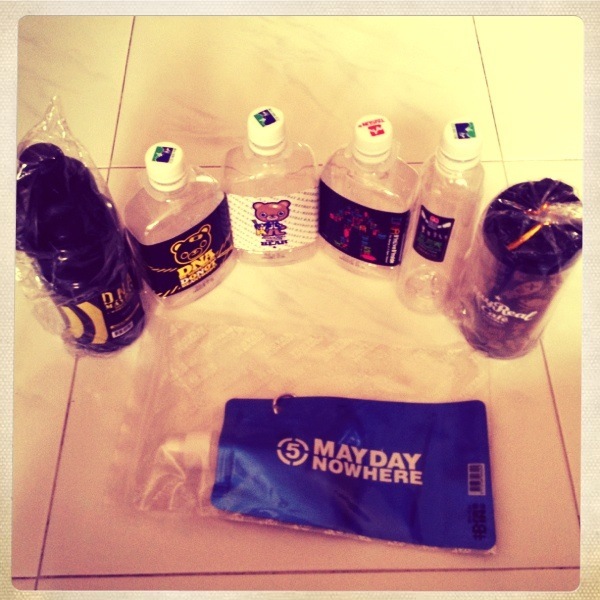 It is rather scary to think about the net worth of these Mayday paraphernalia. To be a Mayday frantic, one must be willing to part with a substantial portion of his/her wealth.